AMD and Firaxis Games have teamed up to bring a DirectX 12 rendering path to Sid Meier's Civilization VI, one of the most hotly anticipated strategy games set for release in this year's holiday period. Two key DirectX 12 features will be supported in Civilization VI. The first is explicit multi-adapter, which goes beyond standard SLI or Crossfire setups and gives the game greater control over how it utilizes two or more GPUs. This sort of technology is particularly useful at high resolutions, and will even allow you to pair up graphics cards from both Nvidia and AMD in the one system. 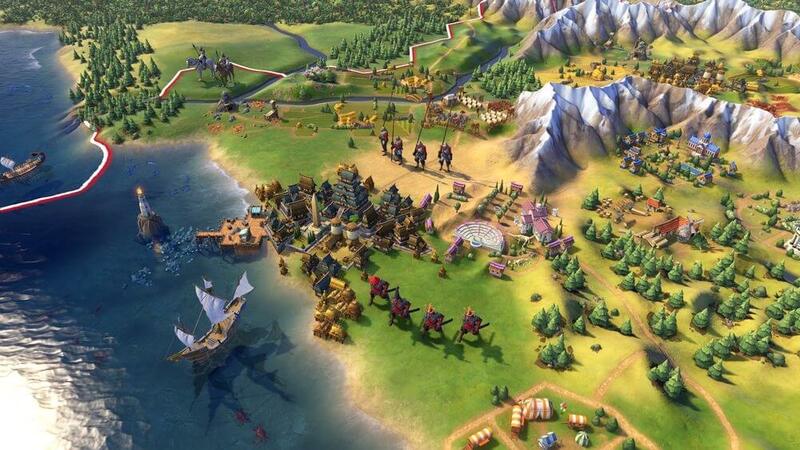 Civilization VI will also support asynchronous compute, which benefits Radeon GPUs significantly as they have full support for this technology (unlike Nvidia). Asynchronous compute basically allows the game to parallelize different tasks, such as lighting or physics, and run them simultaneously on the GPU rather than sequentially. This typically leads to performance increases on GPUs with large shader core counts. This isn't the first time Firaxis has worked with AMD on low-level API integration: the companies collaborated to develop and implement the Mantle API in Civilization: Beyond Earth. Mantle has since been polished, rebranded, and reborn as the Vulkan API. Civilization VI will be released on October 21, 2016 for PC, and for those who love to benchmark, it will include a DirectX 12 benchmark at launch.